Following the successful iOS release of Grand Theft Auto III, Rockstar Games has announced Max Payne will be coming to iOS on April 12. 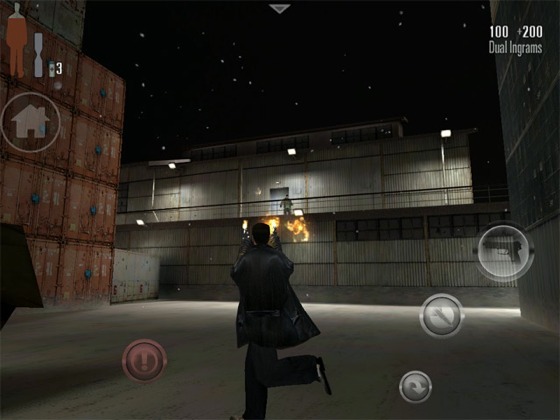 The full classic Max Payne PC experience, Max Payne Mobile has been optimized for both iOS and Android devices and features HD graphics, high-resolution textures, Social Club connectivity and user-customizable controls. The game, originally published in 2001, is a third-person shooter focused on fugitive DEA agent Max Payne. Payne becomes a one-man vigilante, going after the mob, drug dealers and many others after his wife and daughter are murdered. The game uses graphic novels with voiceovers as cutscenes and was the first game to feature bullet time effects from The Matrix. Max Payne Mobile on iOS supports the iPhone 3GS, iPhone 4, iPhone 4S, iPod Touch 4, iPad 1, iPad 2 and the new iPad. Rockstar has not released pricing information as of yet. This game WAS originally ported to Mac OS 9 & X back 11 years ago. This is sweet! I am a huge fan of Max Payne and have been looking forward to Max Payne 3. I guess this will hold me over and get me caught up on the story until then. It will probably keep the same price point as GTA 3, which is not a bad deal at all. Like every EA app, I'm looking forward to buying this on sale for ¢99. What about making a Mac version for the Mac App Store too? That would be nice. Great game but on a touchscreen? If the GTA port was anything to go by I think I'll skip this one. After GTA SA, all I see is MAX PANE with a silly sounding guy behind the window saying " I AIN'T LOSING ANOTHER CRAPPY JOB TO SOME CRAZY B---H!!" Oh my, one of my favorite games! It will be cool to relive the game. This was the first game that I felt that I played through a scripted film, if that makes sense. LOL! Looks like Rockstar has money to throw away at Android users. Rockstart will end up losing money because Android users steal all the high-end apps. On the other hand, if the Android version is full of ads, then it'll be a cr@ppy game. Lose-lose scenario for Android, just like usual! What about apple heads that have their iOS devices jail broken, same sort of situation is it not?